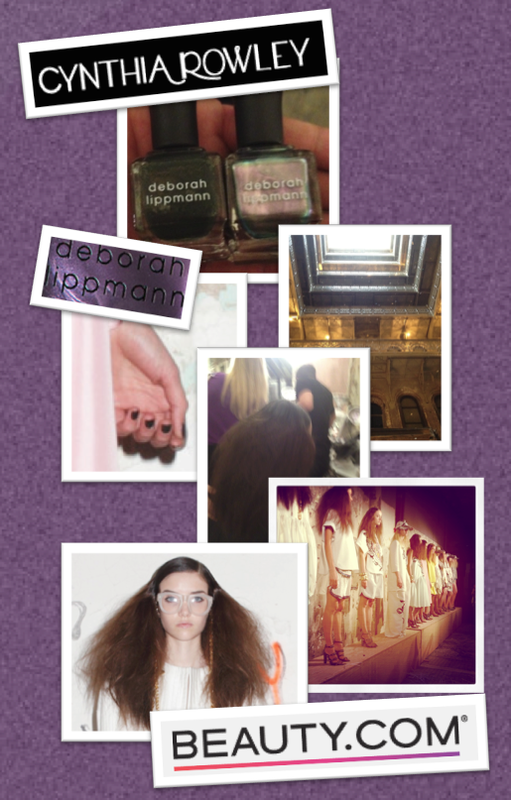 Fashion week flew by, but we would be remiss if we didn’t share our favorite behind the scenes action from Cynthia Rowley. We arrived just in time to watch the models complete their transformation from glamazon to chic surfer. The strong edgy look appeared throughout the look – literally from their “been surfin’ all day and just took off my hat” head to bold-lacquered toes. As the glittery confetti swirled down onto the fashionable glitterazzi, we were convinced it was a flawless presentation.